In a recent randomized, controlled clinical study comparing two types of omega-3 fatty acid supplements (one with EPA and one with DHA) with placebo in 196 adults with major depression, there were no statistically significant differences in outcomes across the three groups. The participants received the treatments for eight weeks, and response and remission rates were 40-50% in those receiving either omega-3 preparation (at doses of 1000mg/day) and 30% for placebo. The research was published by David Mischoulon and colleagues in the Journal of Clinical Psychiatry. 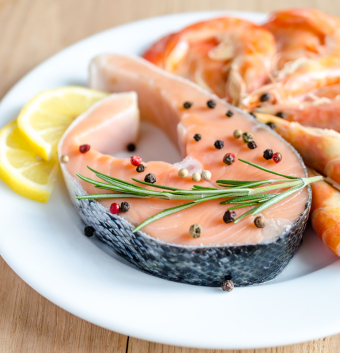 Cultures where more omega-3 fatty acids (which have anti-inflammatory effects) and fewer omega-6 fatty acids (which have pro-inflammatory effects) are consumed have a lower incidence of depression and bipolar disorder. However, the exact role that each kind of fatty acid plays in the brain and whether dietary changes can improve mood disorders is still being investigated. A 2012 study in the Journal of Psychiatric Research examined the complete lipid profiles of participants with bipolar disorder to collect data on these questions. The most significant results to come from the study were that levels of the long-chain omega-6 fatty acid dihomo-gamma-linolenic acid (DGLA) were positively correlated with neuroticism, depression severity, and decreased functioning. Depression severity was negatively correlated with the omega-6 fatty acid linolenic acid (LA) and the omega-3 fatty acid alpha-linolenic acid (ALA), and positively correlated with fatty acid desaturase 2 (FADS2), an enzyme that converts LA to the omega-6 fatty acid gamma-linolenic acid GLA. The data suggest that particular omega-6 fatty acids and the enzymes that lead to their production may be used as biomarkers that can indicate depression. Editor’s Note: Levels of specific omega-6 fatty acids and their related enzymes were found to correlate with depression severity in this study. Since omega-6 fatty acids are pro-inflammatory, diets higher in omega-6 fatty acids are associated with more cardiovascular problems, and a 2012 article by Chang et al. in the Journal of Psychiatric Research reported that completed suicides in bipolar patients with cardiovascular disorders were significantly higher than in those with bipolar disorder without cardiovascular illness, it seems a healthy diet can have multiple benefits, including potentially reducing depressive burden, cardiovascular risk, and suicide risk. 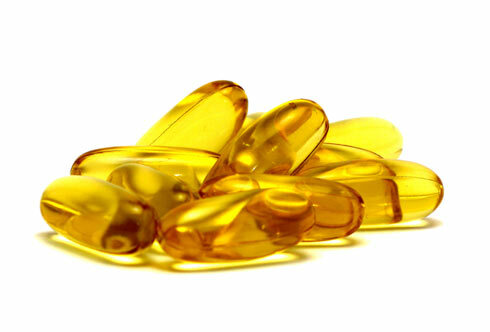 Several studies in adults and children suggest that omega-3 fatty acid supplementation may have antidepressant effects. At the 2013 meeting of the American Academy of Child and Adolescent Psychiatry in October, Melissa DelBello, a professor at the University of Cincinnati, reported on a new study of omega-3 fatty acids in depressed children who had a parent with bipolar disorder. 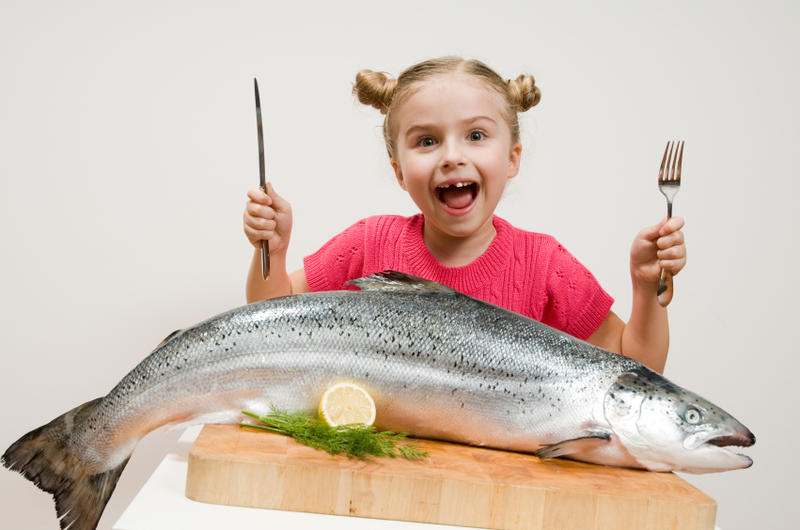 The children taking omega-3 fatty acids were more likely to improve than those taking a placebo, but the findings were only of marginal significance. 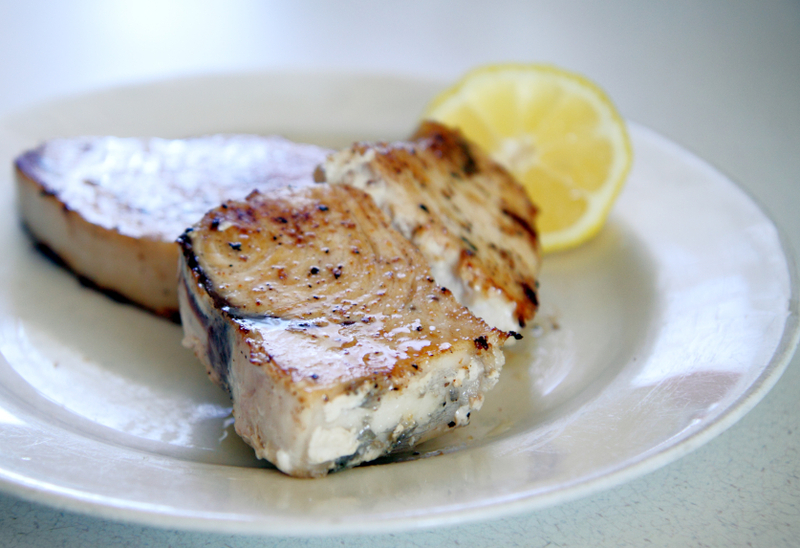 Cold-water fish are a good source of omega-3 fatty acids, and DelBello said salmon is by far the best in this regard. People who live in countries where fish is consumed in greater quantities are less likely to suffer from depression. Other sources of omega-3 fatty acids include shellfish, plant and nut oils, English walnuts, flaxseed, algae oils, and fortified foods. The omega-3 fatty acids from fish are eicosapentaenoic acid (EPA) and docosahexaenoic acid (DHA), while the omega-3 fatty acids from plants are alpha-linolenic acid (ALA), which breaks down into EPA and DHA. All of these are anti-inflammatory, though one must consume much greater quantities of ALA to match the benefits of EPA and DHA. 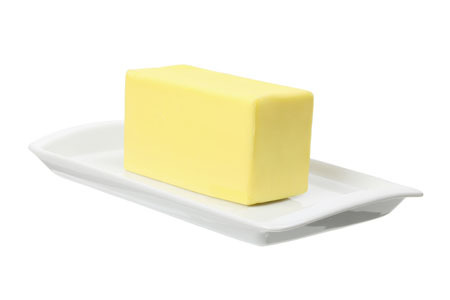 In contrast, omega-6 fatty acids, which are much more common in the typical American diet, are pro-inflammatory. In DelBello’s study of 56 depressed children of a parent with bipolar disorder, the participants were randomized to either 1.8 g of omega-3 fatty acids (1.2 g of EPA and 0.6 g of DHA) or placebo (olive oil). Those who received the omega-3 fatty acids had a 55.6% rate of remission versus 34.5% for those who received placebo, but while the odds ratio of 2.4 favored the omega-3 fatty acids, the difference in remission rates was not statistically significant, likely because of the small size of the study. However, improvement on the Children’s Depression Rating Scale was significantly different across the two groups, with children taking omega-3s improving more. Omega-3 fatty acids are known to have an anticoagulant effect (preventing the clotting of blood), and four children in the study did have prolonged clotting times (but no clinical problems with bleeding). 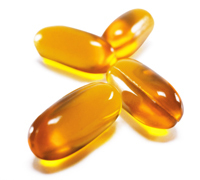 Editor’s Note: Given the existing literature on omega-3 fatty acids and the trend in this study, omega-3s are worthy of consideration for the treatment and potentially for the prevention of depression in children. This later possibility is further suggested by findings from Australia that, when compared to placebo, omega-3 fatty acids significantly reduced the rate of conversion from prodromal (preliminary) psychotic symptoms to a full-blown diagnosis of schizophrenia. An article by Bloch & Qawasmi published in the Journal of the American Academy of Child and Adolescent Psychiatry last year suggested that omega-3 fatty acids could improve ADHD in children. 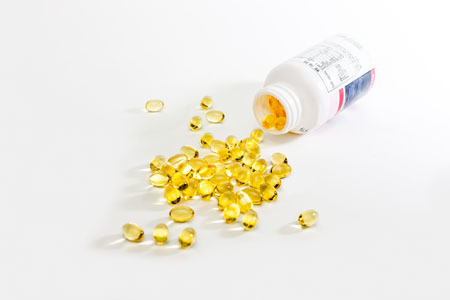 The effects were milder than the standard pharmacological treatments for ADHD, but given that omega-3s have few side effects, there would be little risk to using them to supplement traditional treatments or in cases where traditional treatments cannot be used. Editors note: It would also be worth seeing if omega-3s helped mood symptoms too. A meta-analysis we wrote about here suggests that the omega-3 fatty acid EPA or the combination of EPA plus DHA has positive effects on depression in adults. Iris Manor reported at the 57th Annual Meeting of the American Academy of Child and Adolescent Psychiatry (AACAP) in October 2010 that phosphatidylserine (a phospholipid component) containing omega-3 fatty acids had significant positive effects in children with ADHD. These findings were notable because Manor and other investigators had previously found that omega-3 fatty acids themselves were not effective in ADHD, raising the possibility that the phosphatidylserine component offers unique therapeutic advantages. This compound is currently available in Israel and may become available in the US in the next year.